Do you remember when Twitter first came onto the scene? It had much fewer features than it has today, and it was tough to have a flowing conversation. As a result, Twitter users developed their own ways to adapt the app to their needs. Thus was born the hashtag, as well as the “RT” that’s used today to signify retweets. Of course, retweets are now very much part of Twitter—the feature has its own dedicated button. But it still isn’t easy following a timeline of retweets, especially if the retweeter chooses to quote the original tweet Retweet With Comments: All You Need To Know About Quote Tweets Retweet With Comments: All You Need To Know About Quote Tweets You may have noticed a new feature on Twitter these past few days: You can now retweet with comments! Here's all you need to know about the new tool. Read More and add their own message rather than just rebroadcast the content “as is.” The problem is further exacerbated by publishers who deliberately ask for quoted tweets. The feature is more and more being used as a way to vote on topics, and with increasing regularity. Quote This With Your Favourite Subject…!! Wouldn’t it be great if you could track timelines of quoted tweets to keep conversations in order? Well, you can. Here’s how. Navigate to the original tweet that you want to find quotes for. Paste the URL into Twitter’s search box. You will see a timeline of all tweets, retweets, and quotes associated with the original content. If you’re on a mobile device, the process is broadly the same. You can get a tweet’s URL from the share menu. Just make sure you strip away any junk from the end of the URL before performing your search. You can remove anything beyond and including the question mark in the URL. For more tricks, check out our feature-length guide on how to use Twitter How to Use Twitter How to Use Twitter Twitter can be overwhelming at first, but we're here to help you make sense of it. 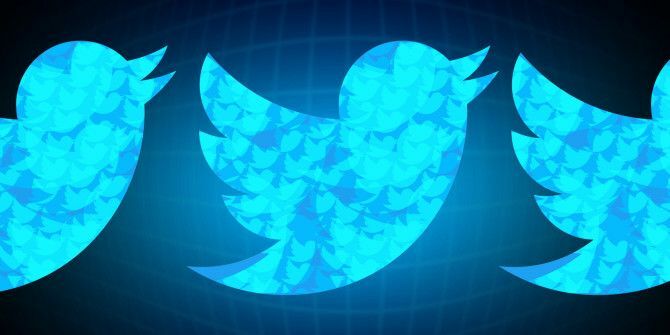 Here's a complete guide to using Twitter and understanding how it works. Read More .